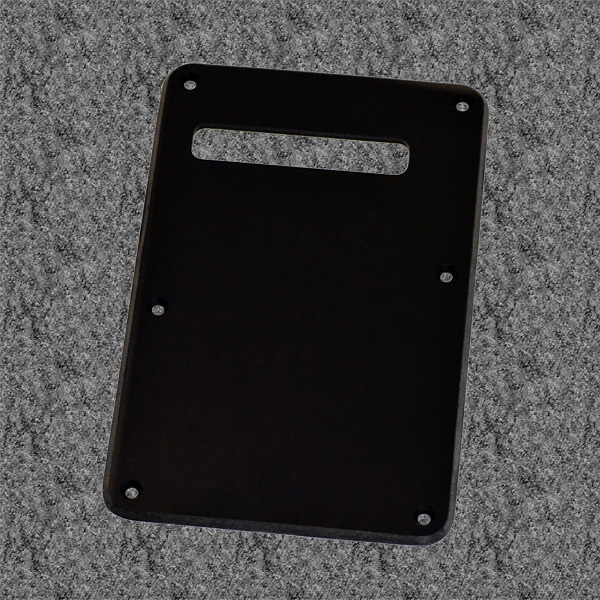 Genuine Fender® Stratocaster® solid black 1 ply tremolo spring cavity cover or also known as back plate. Modern style rectangular slot for strings to pass through. A matching black 1 ply standard 11 hole pickguard is available here 006-3401-049.